For outdoor enthusiast or tourist who likes to hike a mountain once in a while, Fuji is highly recommended. Fujisan is the tallest mountain in Japan with the height of 3776m. There are several ways to reach there. You can use bus, drive or train. Routemap from Tokyo Station to Fujiyoshida. Accessible by train. Use JR-East or Chuo Line connecting to Takao. If you are from Tokyo Station, choose Chuo Line (Rapid). Do not go with Local because you will have to stop and transfer and the train does not reach Takao. Be aware with the train number because sometimes English instructions rarely appear on the display monitor. Just ensure the number is correct and it stops at Takao. The journey will take about 1 hour and 30 minutes. Chuo Line Rapid : Main destination is Takao. Here you can also stop to hike Mount Takao. 2. 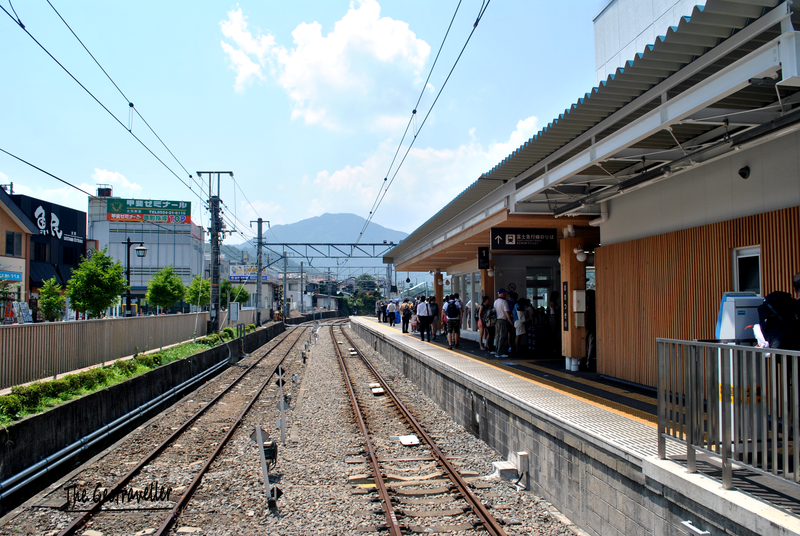 Fom Takao, change to the line going to Otsuki (Limited Express Kaiji to Kofu) where you have to move to another platform. The train ride will take another 1 hour. Takao Station. 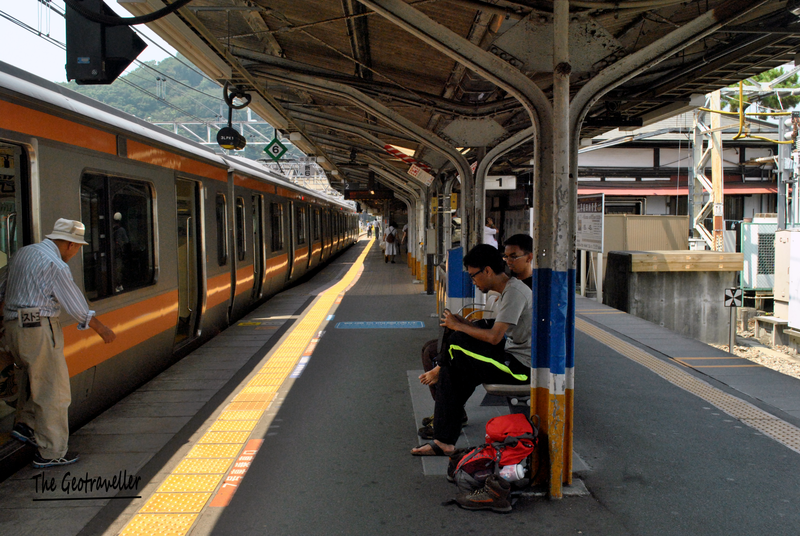 You need to transfer from Platform 2 to Platform 4 to Otsuki. The path going to Fuji San Express is at the right side of Otsuki Station entrance. So it is that easy. Next time if you have chance to visit Japan, do visit Mt Fuji and climb to the summit if possible.